Computers can be licensed to run the platform with third-party plugins or with the built-in licensing mechanism - License Utility	. 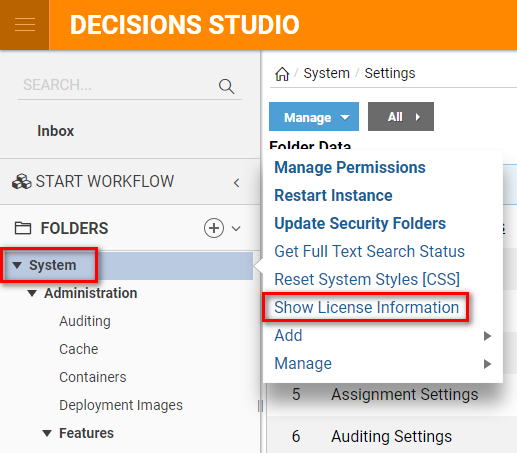 To begin licensing a machine using the License Utility	, open the executable and email the Machine Key	it generates and Current Decisions Version to support@decisions.com . Our tech support team will respond with a license key which can be cut and pasted into the License Utility and applied to generate a license key file. You must run the utility as an administrator, otherwise the license cannot be applied. This example assumes that the Platform is installed in its default location. 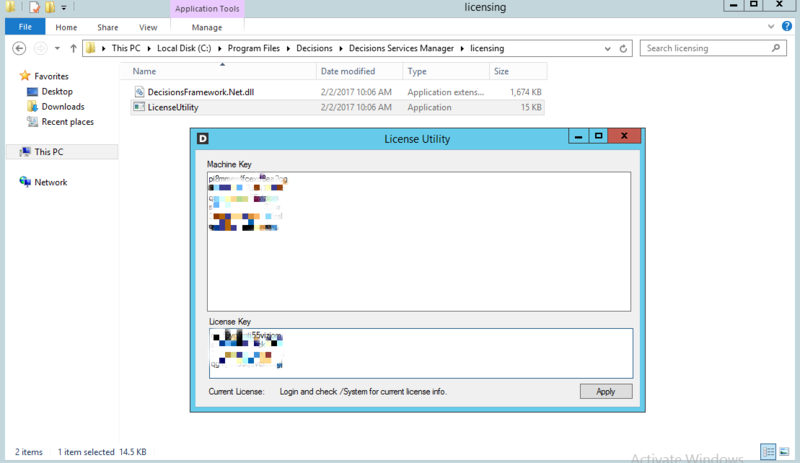 Navigate to \Program Files\Decisions\Decisions Services Manager\Licensing	. 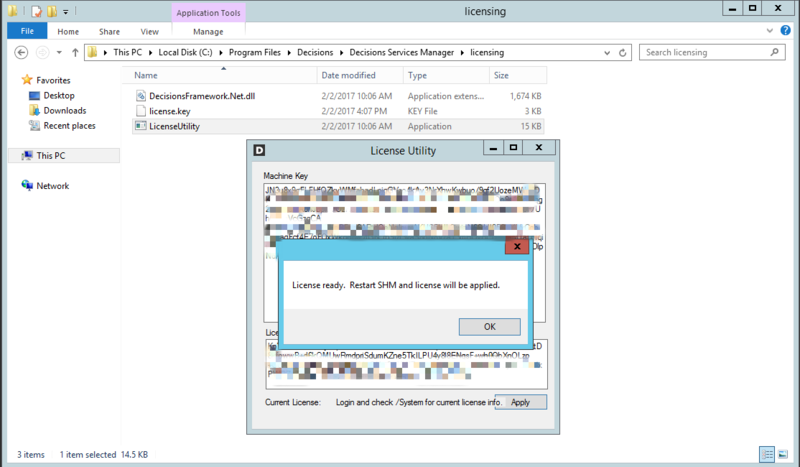 Double-click LicenseUtility.exe	. The License Utility	will generate a unique string for this machine in the Machine Key	field. Select this string and press CTRL+C	to copy it to your clipboard. Create a new email message and address it to support@decisions.com , and in the subject line, state the need is for a license key. In the message body paste the machine key. In addition	please include which license type is needed within the body of the email. Find this information by selecting System	and within the action menu select Show License Information. Then, send the email. Using the machine key you've provided, our support team will generate a license key which we will be email to you. An alert will notify you that License is ready. Click OK	to apply. Your new license key file - license.key	- authorizes this machine to use the platform. To remain licensed, this file must remain inside this folder. Once the license keys have been implemented, it is necessary to restart Service Host Manager. 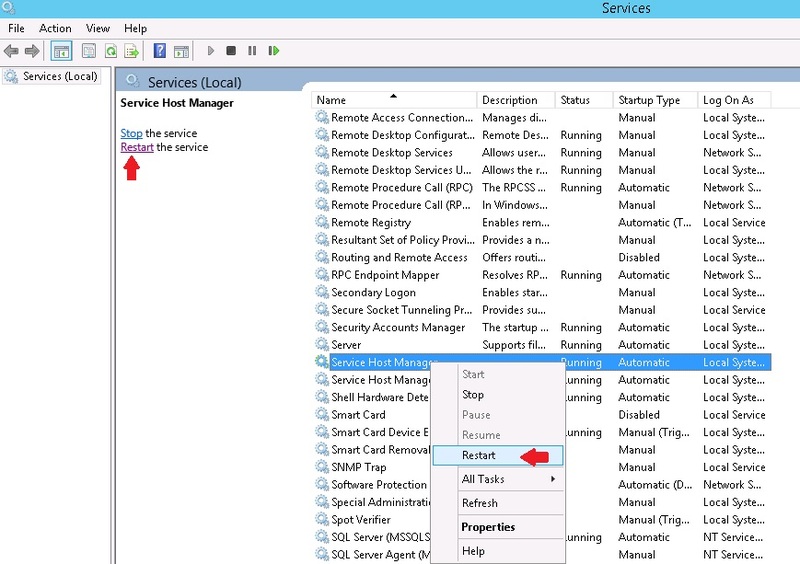 To begin, open the start menu on the server and type "Services" in the search bar. From the list of returned results, open Services	. In the open Services Management Console, scroll down until Service Host Manager is visible. 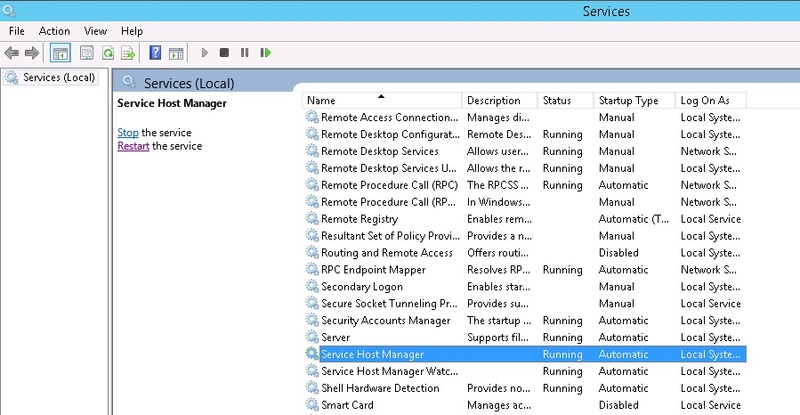 Click (or right click) on Service Host Manager, then select Restart	from the list of available options. 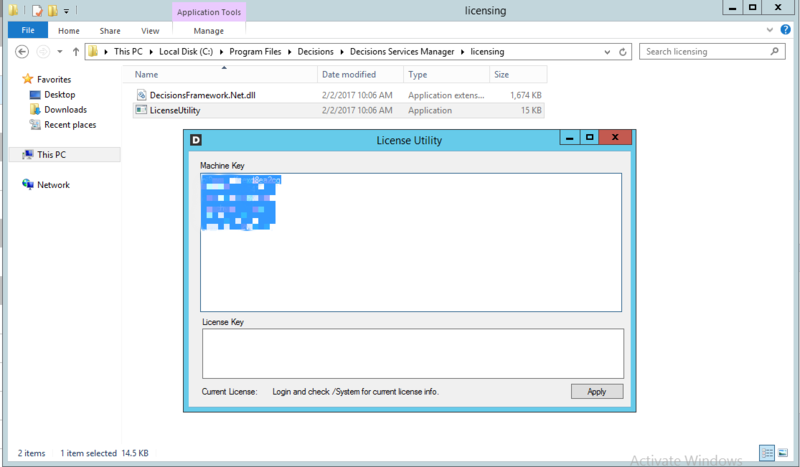 Note: The Key File is removed from the licensing folder once Service Host Manager is restarted. While Service Host Manager is restarting, the portal will be unavailable.